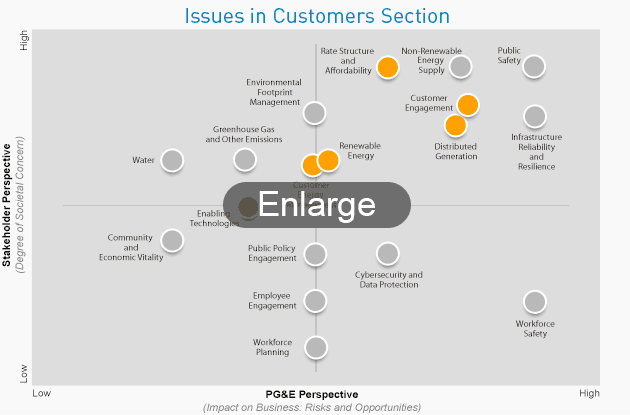 PG&E puts customers at the center of everything we do. Our commitment starts with providing the safe, reliable, affordable and clean energy our customers depend on. 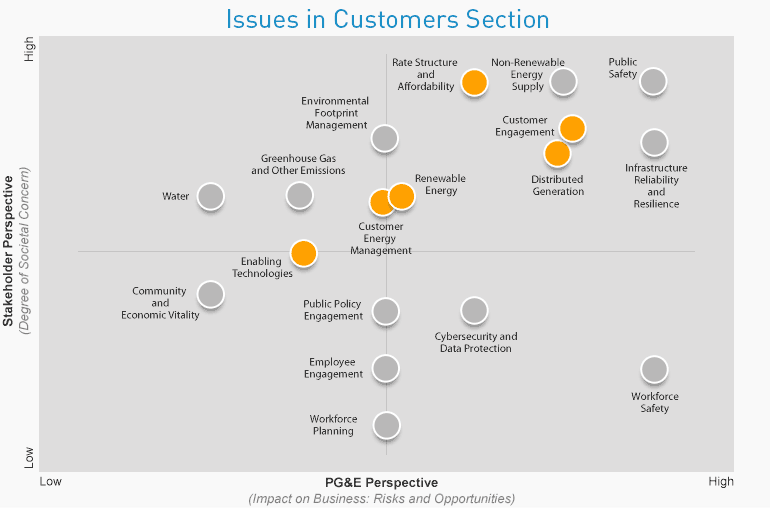 We are also working at a local level to better understand and meet their different energy needs, and enabling customers to enjoy more clean energy options and control their individual energy choices. And through our support for local economic vitality, we remain focused on keeping customers, their families and businesses growing and staying in California. Brought the total number of interconnected customer-owned solar power systems in our service area to 200,000—more than any other utility in the United States. Maintained local cross-functional leadership teams throughout our service area to more effectively incorporate local needs and concerns into our operating decisions. Helped save customers $160 million on their energy bills and avoided the emission of more than 776,850 metric tons of CO2 through our energy efficiency programs. Offered an on-bill financing program that funded nearly 1,000 loans for more than $41.2 million in energy efficiency upgrades for commercial customers and government agencies. Piloted a new smart charging partnership with BMW to explore grid benefits from electric vehicles. Proposed a major build-out of 25,000 electric vehicle charging stations which, if approved, will add a significant amount to utility deployment of charging stations nationwide, while supporting a portion of the future need in Northern California.